Henrietta Bishop: Really? I was gonna go before! So what do you do when you are J.J. Abrams and the network your current show is on starts using the "C" word? No, not "cancer," the even worse "C" word, "cancellation." Simple. Shamelessly steal a page from Joss Whedon's playbook. Back towards the end of the first season of "Dollhouse," when FOX was throwing around the "C" word, Joss hit one over the fences with an episode called "Epitaph." Without either warning or explanation, that episode leapt out of the normal storyline and timeline of the series several years into the future, giving viewers a glimpse of where "Dollhouse" *wanted to go*, if only the network dweebs would allow it to by extending the series. And the amazing thing is that it WORKED. Joss got a second season of "Dollhouse," just enough to finish it up well, and to not leave things hanging. It was the stuff of TV history, and saved "Dollhouse" from the cut-off-in-mid-sentence fate of "Firefly." Now even-heavier-hitter J.J. Abrams, faced with hard times and low ratings, is fighting for a fifth season of "Fringe." So what does he do? He rips off Joss' idea and creates an out-of-the-blue glimpse of the Fringe Division's future. 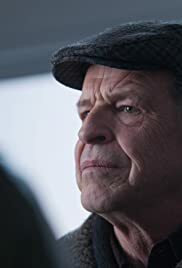 Without either warning or explanation, the episode opens not in 2012 but in 2036, with the descendents of the original Fringe Division living in a dystopia, still fighting the Bad Guys. It's *not* that it wasn't an interesting episode, but the word "r-r-r-r-ripoff" kept echoing through my head the whole time I was watching it. It really *wasn't* bad, and in fact was better than most episodes. Whether this "Hail Joss" play will work is another question, but I kinda praise Mr. Abrams for not being afraid to steal from his betters. This ploy may become a staple of the industry in the future -- if they start talking about cancelling your show, give them a glimpse of the show's future, to hopefully demonstrate to them that you haven't jumped the shark and that you still *can* come up with new ideas. 41 of 196 people found this review helpful. Was this review helpful to you?